If most of us still get our information about elections from the corporate media—including the CBC—then the way the media frame the campaign could determine the election’s outcome. Will Harper finally get his long-sought majority, so he can move from incremental change to the blitzkrieg approach perfected by the New Zealand Labour government in the 1980s? Or will he be relegated to yet another minority, in which case he continues to move his agenda forward step by step? Canadians went into election mode faced with two competing narratives for them to consider. 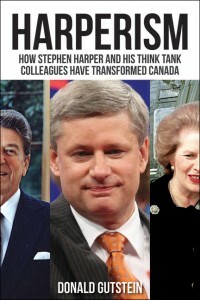 In the one presented by the opposition parties, the Harper government is ethically challenged and can’t be trusted. In the other, presented by the Conservatives, the Harper government is the one best able to manage the economy in these perilous times. The frame the media decide to give the most play to could determine the outcome. Of course, the political parties will all have sophisticated advertising and social media campaigns that appeal directly to key demographics. And, of course Facebook, Twitter and YouTube will all be buzzing with information and opinions about the election. But the vast majority of people who intend to vote will look to their newspapers and television for news and views about the leaders, the parties and the campaigns. Unsurprisingly, the National Post declared for the “Harper as competent manager of the economy” frame on Day 1, by plastering its front page with glowing endorsements from David Frum (“Canada needs a Tory government to balance the books”) and Conrad Black (“Harper should win, and deserves to, unless he blows up”). You can be sure its news coverage will privilege the Conservatives handling of the economy and ignore stories about the government’s ethical challenges. What about the other media, both print and electronic? The media will be covering the election. We need to be covering the media.